Mikkeler Beer Geek Brunch Weasel is one of my favourite beers in the World. How could it not be? I had Founders Breakfast Stout recently and that ruled too. 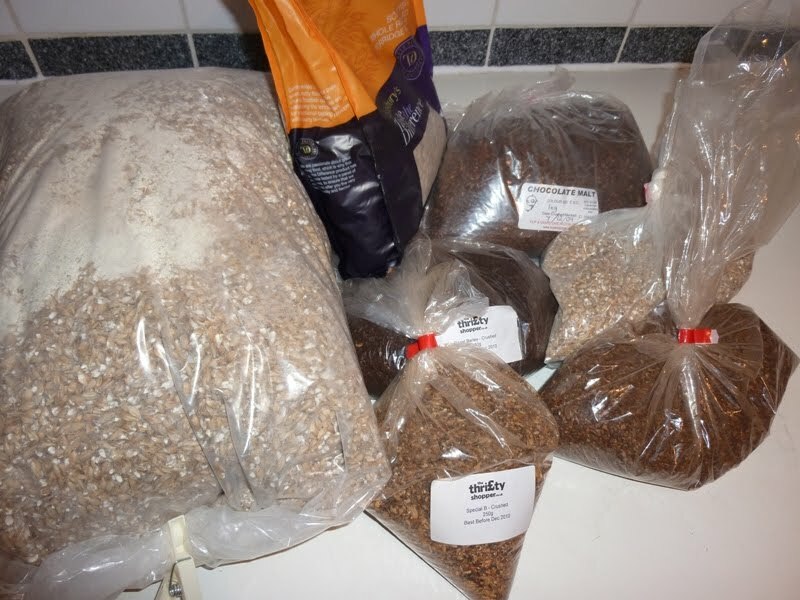 I thought I might give brewing an oatmeal stout a go, splitting the batch and adding coffee to one half. So that’s what I’ve done. Half the grist is pale malt, a quarter is oats, I’ve then divided the dark malt content into five percent chunks and gone with a combination of roast barley, pale chocolate and standard chocolate. There’s some special B and Munich malt in there to add complexity to the malt sweetness too. 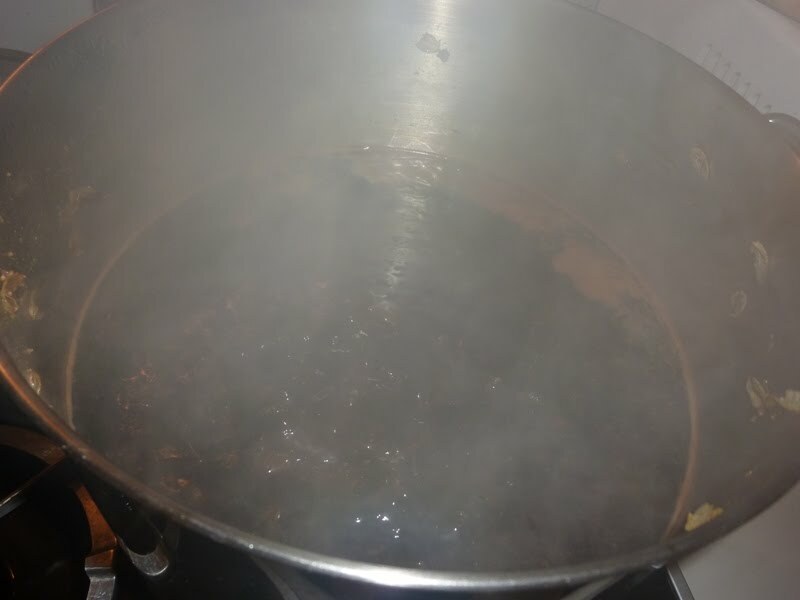 I mashed at 68c and capped with 30g of carafa special III on the final batch sparge, hoping to stain the wort as black as possible without changing up the roasty flavour profile any further. Original gravity was 1071 and I picked dried US05 yeast at 19c to give a clean fermentation with little to no yeast character. The batch has been split in half, the first half will be fermented out to completion and bottled as an oatmeal stout at around 7% alcohol. The second half will receive a sugar addition worth 7 gravity points when 70% attenuation is reached. When that’s fermented I’ll add a further 7 gravity points worth of sugar dissolved in strong coffee. 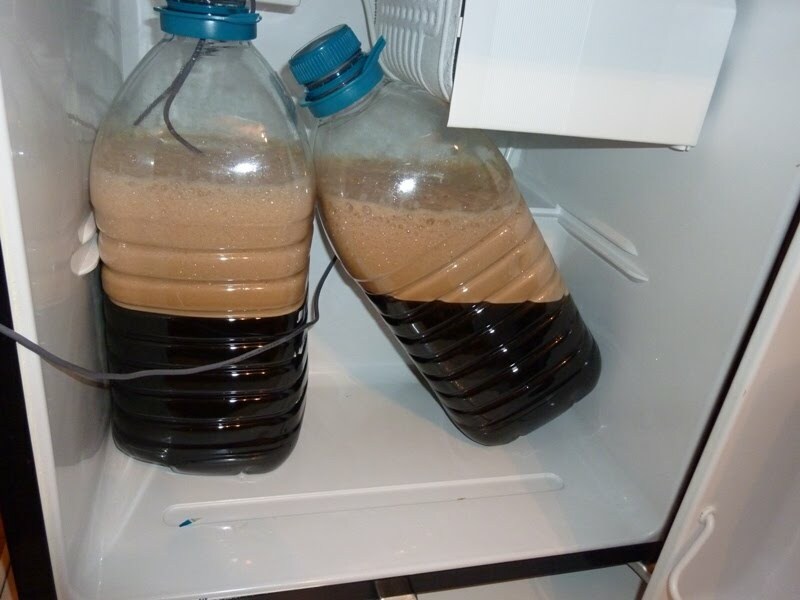 The aim is to add easily fermentable sugar at a point where the yeast is ready and eager to ferment, without shocking the yeast with a wort that has too high a concentration of sugar. The amount of coffee to add will largely be based on guess work but I might do a few experiments by blending a dark beer with some strong coffee and scaling up the ratio that works best. The coffee half will have a revised original gravity of 1085. Assuming it gets down to around 1015, factoring in the dilution that the coffee will cause, I should get an ABV in the region of 8%. Sounds interesting...I spotted a flaw though...no Hops! The latest copy of Brew your own has a clone recipe for Beer geek Breakfast that you may be interested in looking at. Good point. The hops are purely for bitterness with this one. 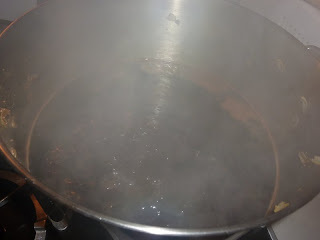 One 60 minute addition of 50% fuggles and 50% centennial to around 70 IBUs. Massive amount of Oatmeal (Flaked oats) how was your Mash efficiency and sparge? 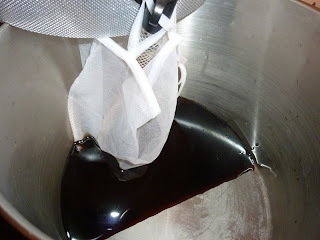 I use an odd method for sparging and it's a method that would help to avoid stuck sparges. That being said, didn't have problem with this beer at all. Efficiency was the same as always (around 65%) - I know that's low, but it's something I just work around because it's a product of my odd sparge method. How did your clone attempt turn out? Beer Geek Brunch is one of (many of) my favourite beers, with an impressing smooth mouthfeel for such a beer! I´d also guess they come from huge amounts of flaked oats, allthough I don´t think any sugar is added. I´ve tasted it from cask and whisky barrel aged, but I still like the original the best. The beer is brewed at Nøgne Ø in Grimstad, Norway, probably with their house yeast - WLP007. It's not bad. I think the bitterness needs to be reduced and I think I could've mashed a bit higher to make it a bit sweeter. The mouthfeel is great though, which is no doubt down to the oats.